The Modern World Of Work Leave - And What About Freelancers? The Modern World Of Work Leave – And What About Freelancers? Looking forward to a rare day off? Time off of work is a contentious issue in many places around the world. Even unpaid leave – such as striking – gets reported in terms of how much it ‘costs business’ or ‘costs the economy,’ as though these factors are the bottom line in how we work and live. Health, happiness, fairness, and work-life balance rarely make the headlines. Of course, some workplaces and governments offer better relief than others. Some recognize that overwork is actually counter-productive; some take into account, at least on a minor level, the ‘national happiness’ reported by their people; a rare few are simply kind and genuinely value the well-being and way of life of those around them. A new data visualization project from resume.io attempts to see who’s who in the league tables of international benevolence. 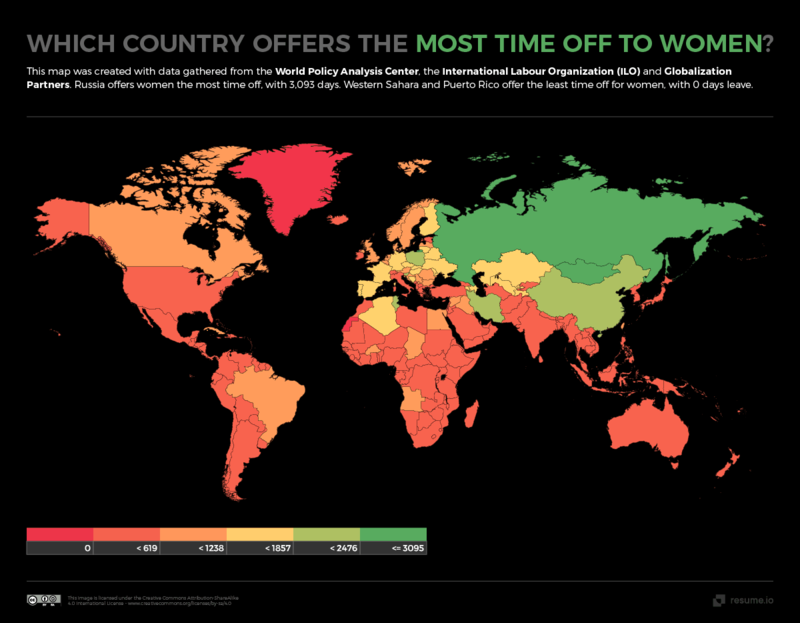 Taking into account factors such as sick leave, parent leave (paid and unpaid), public holidays, and vacation days, they’ve totted up the total possible run of days an employed person can take off of work in 196 countries in the world and presented their findings in an interactive map. The darker and angrier the color, the less time it’s possible to take away from the office – even a quick glance at the pleasant green patches can prove a surprise! It is worth bearing in mind that the world of work is changing rapidly. While these figures represent the statutory rights of each nation’s respective workforce, things are changing on a micro level. On the one hand, more humanistic contemporary businesses are offering extended or even unlimited time off. It’s an approach that demonstrates how the ‘shape’ of work – even in a ‘traditional’ employee role – is more fluid than ever before. Even those businesses who may not offer their employees more time off are becoming more flexible about arrangements of the time off to which they are entitled. Extended or unlimited vacation and more generous parenting leave offered by individual companies are also bargaining chips used to entice the hottest workers to the most ambitious businesses. And in the example of ‘unlimited’ leave, the idea is that by putting the responsibility for time off in the hands of the employee, that employee becomes more invested and engaged in the business. They are literally choosing to go to work each day, instead of counting off the days until their leave quota refreshes. But that is the good news. On the other hand, more and more people are freelancing or working from paycheck to paycheck in the ‘gig economy.’ And nobody is in a hurry to ensure their rights keep up with those of their permanently contracted contemporaries. 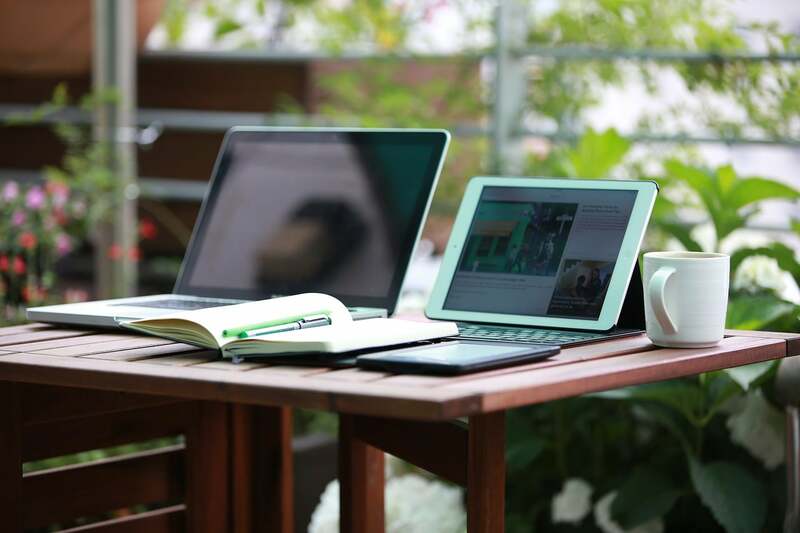 While the digital nomad lifestyle may seem to come with unbridled privilege, the truth for many itinerant freelancers is that they can travel wherever and whenever they like – but never take a holiday. Time off is not on the cards. There is today a greater understanding that sick means sick. Turning up for work when you’re ill is seen to be at best counter-productive, and at worst inconsiderate. In the first case, that’s because working without the breaks that you need is likely to push you to further bad health and stress – which causes further bad health. As for being inconsiderate, nobody wants to get ill because you showed up to the office sneezing and spreading germs everywhere you lay your hands. That said, try calling your boss to ask for the day off when he’s understaffed and overworked. Traditional concerns still hold strong among money-driven business owners and uncaring middle-managers who would rather have an easy day than see you look after yourself and protect colleagues and clients from the spread of germs. Freelancers, too, must depend on the kind hearts of their clients and the robustness of their insurance policies if they are to weather bad health. Even if a freelancer is able to extend deadlines or keep a low profile while they recover from what ails them, and has the insurance or savings to get by financially, there is one final issue that is impossible to navigate: availability. Poland leads the world in parenting leave. A combination of compulsory(! ), paid, and additional unpaid leave (on permission of the employer) allows you to take care of your bump and your baby, giving them the love and attention they need to become rounded, kind, and engaged young humans. The United States and Australia leave it to the judgement of employers. But the same issues that affect sick freelancers are magnified for those wanting to take parenting leave. Taking a month, six months, a year or more off as a mother or father who freelances means interrupting projects and stemming the momentum of the working relationships you’ve been building. If you’re blessed with a healthy body and a healthy baby, it is possible to work and raise a kid at the same time – at least after the post-partum strain for mothers – but this just confronts parents with a difficult conundrum. If you’re sick, you can’t work; but if you’re parenting, you need to make constant choices between the daily needs of your child and the needs of your career and, more urgently, income. In a rapidly changing modern world where most of us live in comfort and safety, 21st century solutions are still needed to make the world of work – and time off work – a more humane and progressive part of life. How do things look where you live?